SPRINGFIELD, Ill. (AP) — Gov. Bruce Rauner attempted Thursday to pressure Airbnb into reversing its ban on lodging listings in the disputed West Bank, calling for an investigation into whether the company is violating Illinois laws prohibiting backlash against Israel's treatment of Palestinians. The Republican governor released a letter to the Illinois Investment Policy Board requesting a probe into whether the online lodging marketplace's action, which Rauner called “abhorrent and discriminatory,” breaks a state law against aiding the Boycott, Divestment or Sanction movement against Israel. The San Francisco-based company announced last week it would delist about 200 properties in the disputed territory's Israeli settlements. In 2015, Illinois became the first state to prohibit investment in BDS-friendly companies. “If we show leadership and take decisive action and truly do a thorough investigation of Airbnb's practices and come to a thoughtful conclusion and recommendation, we can drive results for not only Illinois but other states in pushing back against companies that engage in discriminatory practices against Israel,” Rauner said. Israel, a prime U.S. ally, captured the West Bank in the 1967 Middle East war. More than 600,000 Israeli settlers live in the West Bank, including east Jerusalem. Most nations consider the settlements illegal and an obstacle to creating a Palestinian state. Israel, which claims it is disputed land and a subject for peace negotiations, has seen its image tarnished in recent years by the BDS movement. Airbnb spokesman Chris Lehane said the company's decision is not anti-Israel. There are 20,000 Israeli Airbnb hosts and the company has never supported boycotting Israel or Israeli companies. He said the policy does not apply to east Jerusalem or the Golan Heights, and that hosts whose West Bank settlement properties were delisted may continue offering lodging in other parts of the region. 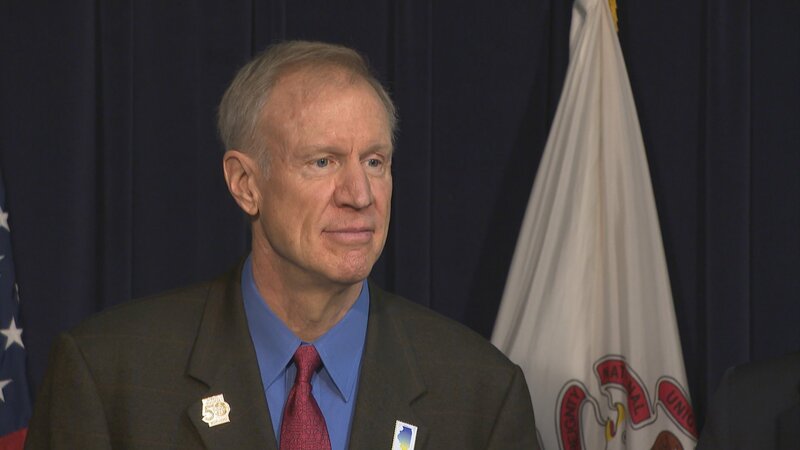 George Mason University law professor Eugene Kontorovich, an expert on international law and Israel-Arab affairs, said Rauner's decision could hold future sway. An initial public offering is critical for establishing a comfortable share value. What's more, since Illinois was the first to bar BDS-related investment, Kontorovich said the two dozen other states that have followed with their own laws look to the Illinois list of banned companies to include on their own. Rauner, who was defeated earlier this month in a re-election bid by Democrat J.B. Pritzker, said it's likely Illinois has investments in companies that have, in separate transactions, provided private equity in Airbnb. But he's not suggesting Illinois sever its ties with them.